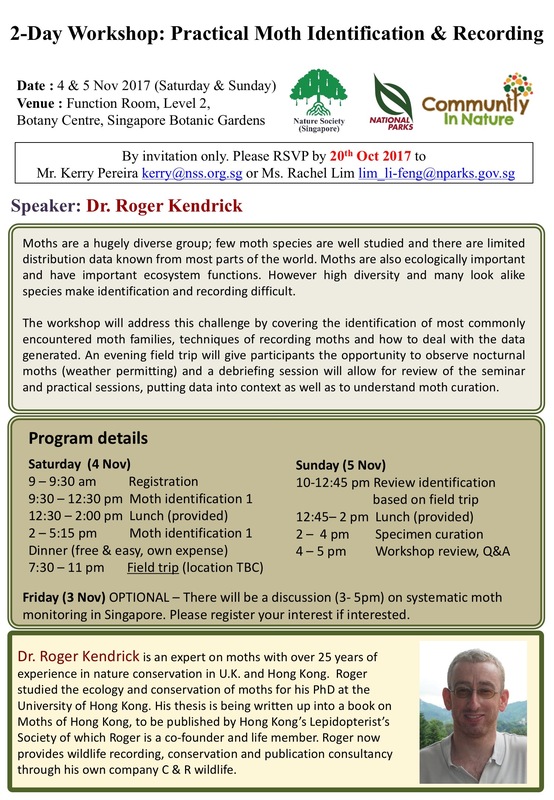 Registration for the Members Only Moth Workshop on 4 & 5 Nov 2017 as highlighted in NSS' newsletter Sep-Oct 2017 will be closing by Monday, 30 Oct. If interested, please contact NSS office (Kerry or Joe) to sign-on as soon as possible. 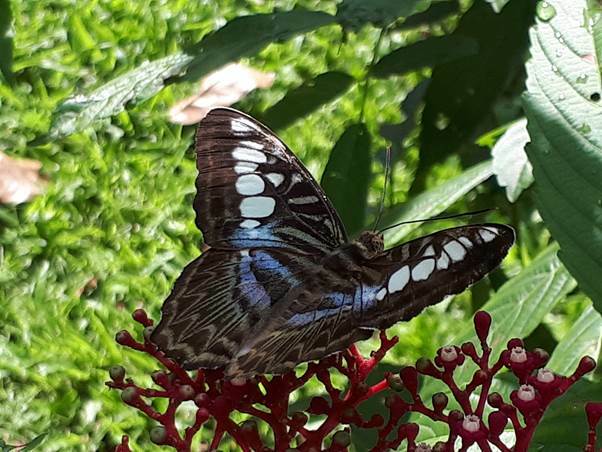 Clipper butterfly spotted feeding at Khoo Teck Puat Hospital by Simon Chan. 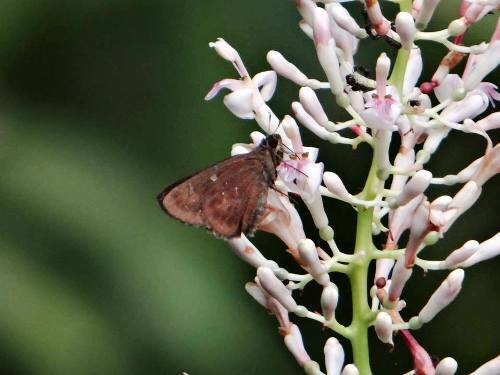 A female Hyarotis microsticta was discovered by Yong Yik Shih on 21 Sep 2015. 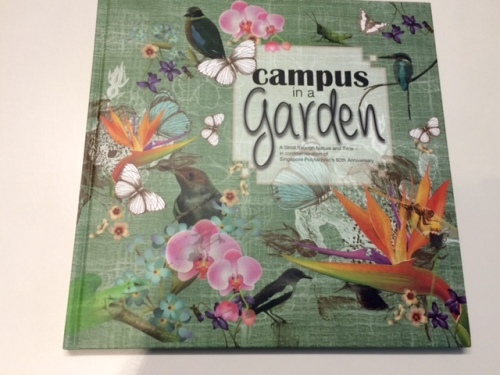 BIG contribution to Singapore Polytechnic Book! 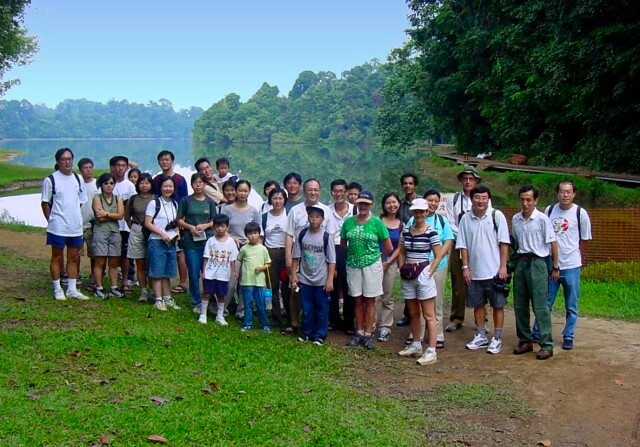 Which subspecies of Ancyra Blue exists in Singapore? 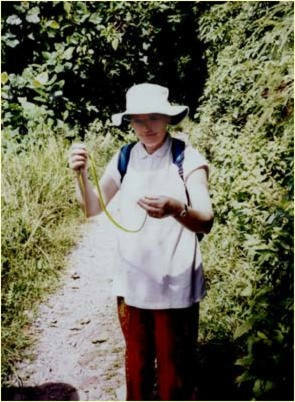 iNaturalist for Local Moths is now Online!